Our team of “black belt” CGI artists and engineers create scalable CGI solutions for retailers such as hyper realistic images, 3D models, cutting edge API technology, virtual and augmented reality assets, plus automation and platform solutions. Inspiring and multifaceted digital scenes: Hyperreal imagery for Ecommerce and social media, created quickly and on budget. Silo Renders: Custom automated shots can include product dimensions, enabling complete computer-generated scenes. 3D Model Production: 3D modeling expertise enables us to create interactive content for some of the world’s largest retailers. Product Spin Features: We bring 360° experiences alive, allowing your customers to inspect your offerings from every angle before they even enter your physical stores. Innovative API (Application Program Interface): Allows simplified automatic uploading of new content to your website. 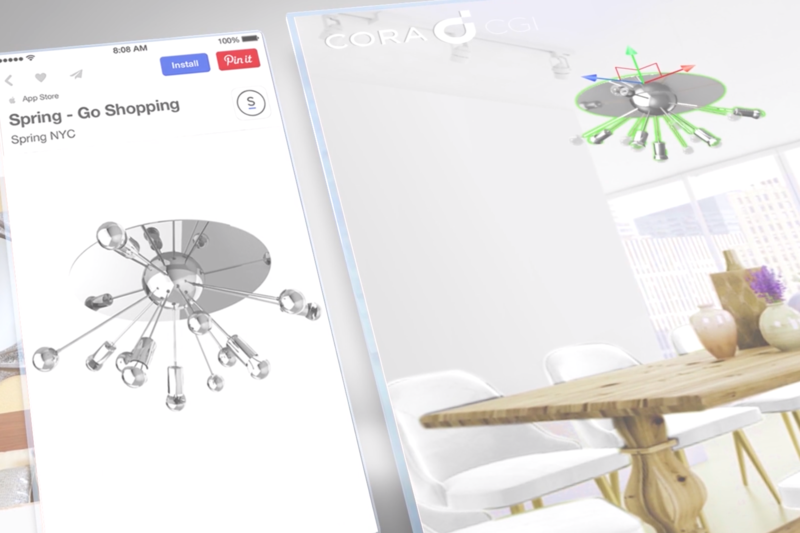 AR (Augmented Reality) Experiences: Our 3D models are AR-ready, integrate with social media to bring mobile experiences to life, and help product visualizations within CGI-medical, -corporate, and -animations. We bring the best of tradition into tomorrow. We take one part art, one part tech, and one part talent. Then we streamline, we optimize, and we automate. We do all this – out on the front-most edge of the cusp, so our CGI studio can shine, and so you can take your place at the front of the pack. Upload three images for you free demo.